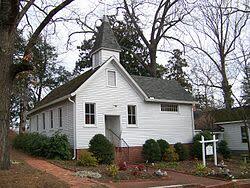 St. Luke's Chapel is located on the northeast corner of Hospital Drive and Old Twitty Ford Road. St. Luke's was built during the construction of Rutherford Hospital and is the only original building still standing on the hospital grounds today. The Chapel was built by Dr. and Mrs. Henry Norris of Philadelphia, founders of Rutherford Hospital. The Norris couple initiated the construction of a chapel on the Hospital grounds to meet not only their family's needs but the needs of the staff and patients as well. The Chapel is named after St. Luke, the physician and healer in the Bible. A restoration project in 1945 was completed by Falton Hodge and a group of church youth. 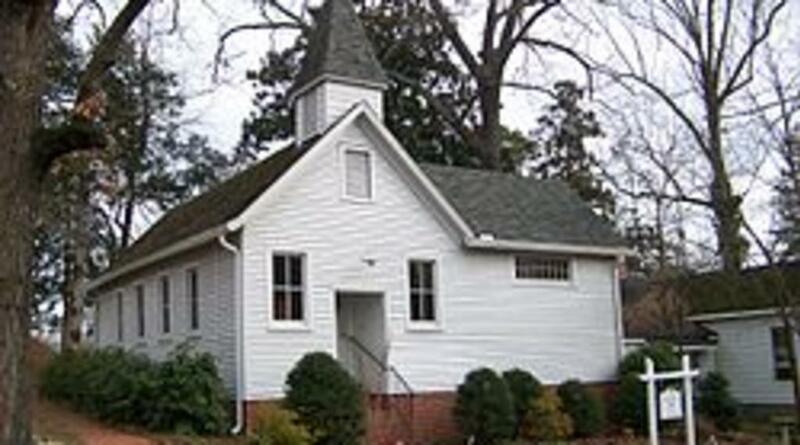 The Chapel was refurbished with furnsihings brought from the Green River plantation chapels. In 1965 a second restoration project was undertaken by the Nurses Alumni. The building was moved back sixteen feet from the road and underpinned with brick. The library in the Chapel was restored and is full of wonderful old books, many of them donated to Rutherford Hospital's School of Nursing by the original hospital staff and others from the community. The original features which remain today include a small, formal garden enclosed by a circular brick wall, located behind the Chapel. In 1991, the Rutherford Hospital Auxiliary allocated funds to renovate the exterior of the Chapel. The following year, the Auxiliary applied for and received acceptance of St. Luke's on the National Register of Hisotrical Places in North Carolina. Preservation and promotion of the Chapel is an on-going Auxiliary Project. The Chapel is now opened to the public daily and is availabe for small weddings and programs.